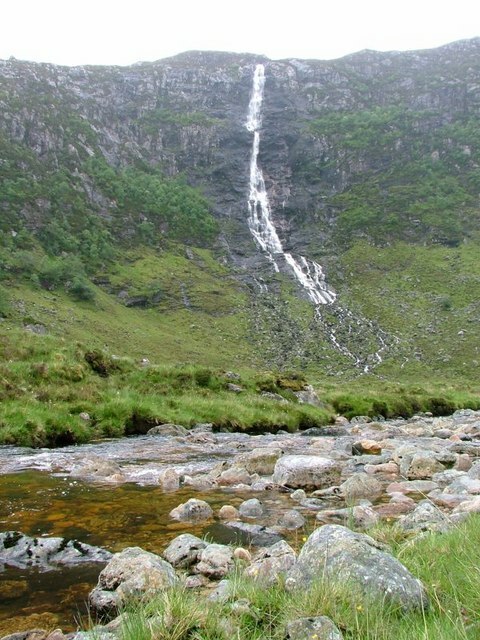 Note:- Getting to this waterfall requires travelling some distance into a mountain area, you should not attempt this without being extremely good at map reading, and know what you are doing. You may be able to take a boat trip up to Loch Beag and see it from a distance, see the image below, and boat information under notes in the grid. 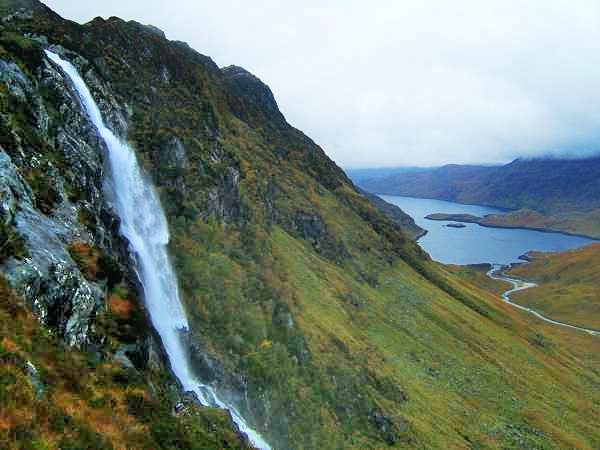 Said to be the tallest uninterrupted waterfall in Britain, it falls 658ft. 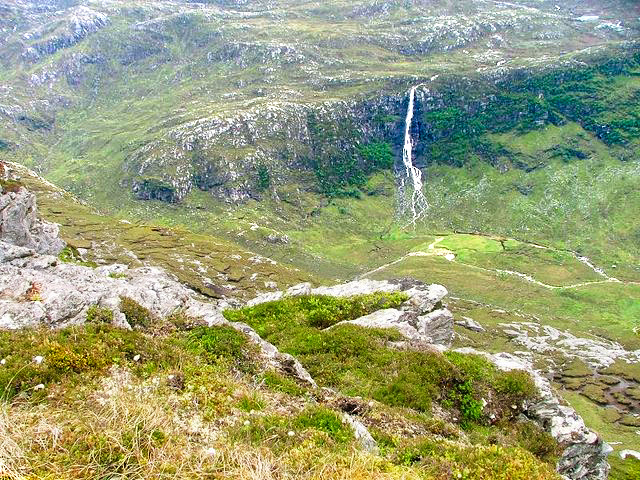 To get a complete view you need to climb a much higher mountain or to use a helicopter, although you can get views of part of it from a number of directions. The water flow is seasonal, some visiting in the summer have reported very little. View from the valley below. Getting there: From a road around 5 miles away across the mountains or possibly by boat up to Loch Beag, see below in notes. 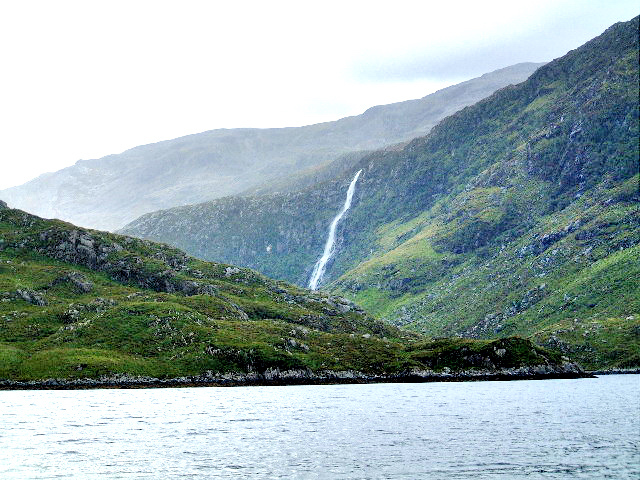 Notes: In good weather, a boat-trip runs from the slipway by the Kylesku Hotel to Loch Beag, from where the waterfall is visible. The same boat also runs trips to Kerrachar Gardens at the other end of the loch.